The Seton Hall-Hackensack Meridian School of Medicine in New Jersey received preliminary accreditation this week from the Liaison Committee on Medical Education, allowing the new institution to begin recruiting applicants for its July opening. The school was built in partnership by Hackensack Meridian Health, a 16-hospital system based in Edison, N.J., and Seton Hall University, a Catholic school in South Orange, N.J. The two organizations announced their plans to jointly open a medical school in 2015 and have built a campus on 16 acres in Nutley and Clifton, N.J. Both Hackensack and Seton want to address an anticipated physician shortage in New Jersey. The state is expected to face a shortage of at least 3,000 doctors by 2020. It will be the first private medical school to open in the state in 60 years. "This venture will provide key educational, research and career opportunities to incentivize the next generation to pursue a career in medicine," Dr. Bonita Stanton, the founding dean of the school, said in a statement. The preliminary accreditation enables the Seton Hall-Hackensack Meridian School to begin accepting students. Seton Hall-Hackensack Meridian still needs to receive provisional accreditation and full accreditation from the Liaison Committee on Medical Education as part of its multi-step process. The Seton Hall-Hackensack Meridian School's curriculum will take a "holistic approach" with a focus on traditional science along with prevention, population health, genetics and team-based care, according to a statement. The campus will also include Seton Hall's College of Nursing as well as School of Health and Medical Sciences. Hackensack Meridian Health is part of a growing number of health systems that have joined the medical education arena. Kaiser Permanente is planning to open a medical school in fall 2019 and Geisinger Health System acquired Commonwealth Medical College in Scranton, Pa., in 2016. 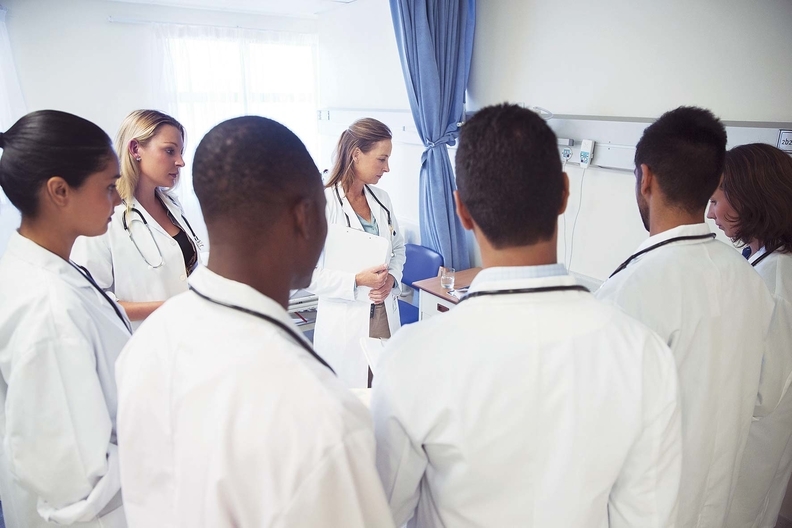 The providers often cite opening a medical school as an opportunity to hone a pipeline of new doctors with the skills needed in the changing healthcare landscape like a focus on prevention and social determinants of health.